Now that the major milestones included in Phase 2 have been completed, it's time to start working on Phase 3 of our development roadmap. Please note that these feature plans are all subject to change. As with any product development it is difficult to predict exactly when new features will be rolled out. Even so, we think it's important to be as open and transparent as possible about our plans so that you can have the right expectations. Webhooks allow you to get notified by Fusioo about changes to your data, as they happen. Rather than requiring you to pull information via our API, webhooks will push information to your endpoint. When one of those events is triggered via a workflow (for example a new record is added), we will send this notification as an HTTP POST request, with a JSON body, to the endpoint(s) you specify. This can be used to connect directly with other applications such as Slack or Zapier without writing any code. We will be working on enabling rules for particular Fields. This means that you will be able to redefine your processes, set up better Field validations and reduce data entry errors. Rules on Drop down Fields. You will be able to set up rules so that Fields are shown/hidden based on a selection from a Link to User, Link to Role and Select Field. Rules on Tick box (Checkbox) Fields. Similar to the Dropdown List Fields, you will be able to apply rules that show/hide certain Fields when a Tick box is checked. This option will introduce a new automated way with which you can insert data in Fusioo. You will be able to easily create a webform from any App in your Fusioo workspace. You can then share it publicly on other websites and each new entry is added to the appropriate App in Fusioo. Note: You can currently use Webforms functionality from third party tools via our Zapier integration. App relationships are a core part of all processes and we intend to improve the options available in this area. View related records as a list, badge or in a Kanban Board. Use Relationship Fields as workflow trigger conditions. Update related records from a workflow. These Fields will help you structure your data better within the Fusioo platform and become even more productive. Checklist Field. You will be able to create a simple list with the ability to check off completed items and track the progress. These lists will come in really handy when you want to create simple todo lists on particular records. Rating Field. You will be able to rate records and share those ratings with your colleagues. This will be helpful in very specific scenarios, such as rating feedback on new ideas or rating job applications. Map Field You will be able to add mapping functionality within your Apps. This will come in handy when you want to quickly find addresses of contacts or companies you are working with. Activity Field. You will be able to add different types of activity as a timeline on a single record. Trigger a workflow when a record is deleted and a new comment or discussion is added. Trigger a workflow manually or on a specific schedule. Delete a record(s) when a workflow is triggered. Attach files to emails sent from a workflow. Apart from the current export options, we will be adding options to print out information from Fusioo in a PDF format. This option will be available for a single record, an entire dashboard or a specific group of records. This update is aimed at making information instantly accessible without switching between different Apps. You will be able to 'pin' widgets from different Apps and place them in a single global dashboard, making it possible to display all of the key metrics for your business in one place. Apart from uploading your files directly in Fusioo, we will be adding an option to link to files that are already uploaded in popular third-party storage solutions. In the first release, we will add support for Google Drive, Dropbox, and One Drive. Files linked from these services will be available in Fusioo as normal files (including a preview). We will also improve the design of the File Field making it more accessible and easier to navigate through the uploaded files. New integrations will be introduced within the core Fusioo platform. This will reduce unnecessary silos in your daily processes. With the reporting option, you will be able to export and present data in a different way. Report templates can be defined to help you extract the data automatically, on a schedule or manually. 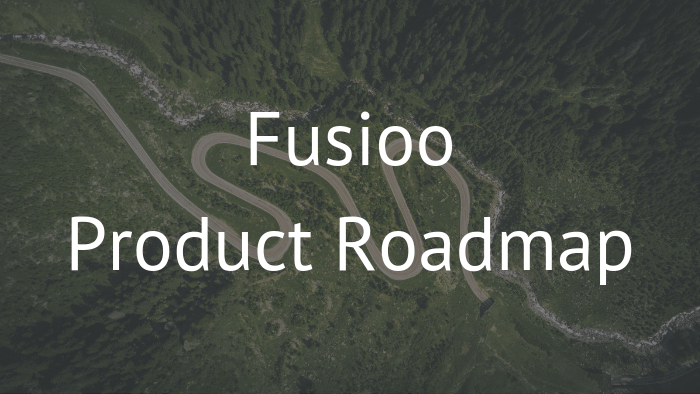 You will be able to create custom reports, such as invoices and expense reports, from within Fusioo itself. Apart from improving Fusioo's responsiveness in mobile devices, we plan on adding native iOS and Android apps.